Samsung’s milking its Galaxy S4 brand like there’s no tomorrow. It feels like a new GS4 variant is announced every week; the GS4 Mini, GS4 Active. 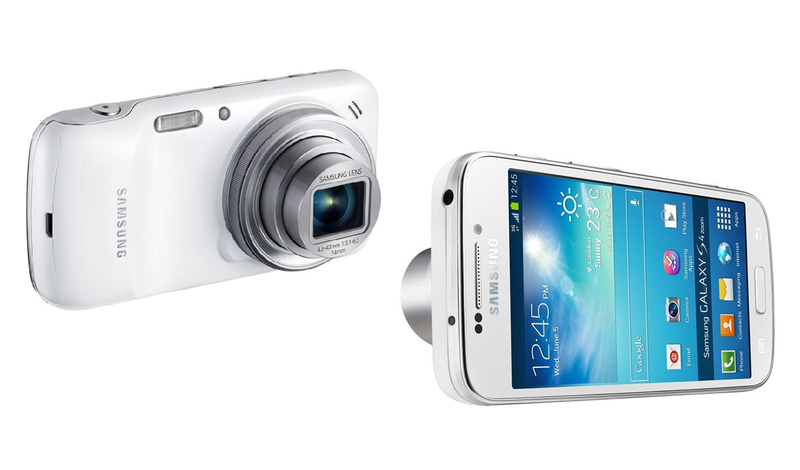 Now, there’s the Galaxy S4 Zoom. We’re not sure whether the GS4 Zoom is a smartphone with a better optical zoom lens or a camera with a smartphone crammed inside. Either way, the GS4 Zoom has a 10x optical zoom lens with controllable zoom ring, 16-megapixel CMOS sensor and a Xenon flash. As for its smartphone half, the specs aren’t anywhere close the actual GS4′s hardware: 1.5GHz dual-core processor, 4.3-inch Super E display and Android 4.2 Jelly Bean. Silly? Maybe, but it’ll take better pictures from a great distance than your regular smartphone will ever be able to.